The last Boat Fire Safety Talk of this winter will be on Monday 12th March 2018 at 7.30pm at the George Inn, on the K&A canal in Bathampton. The George is under new management. The talk will be in the function room at the back of the pub. 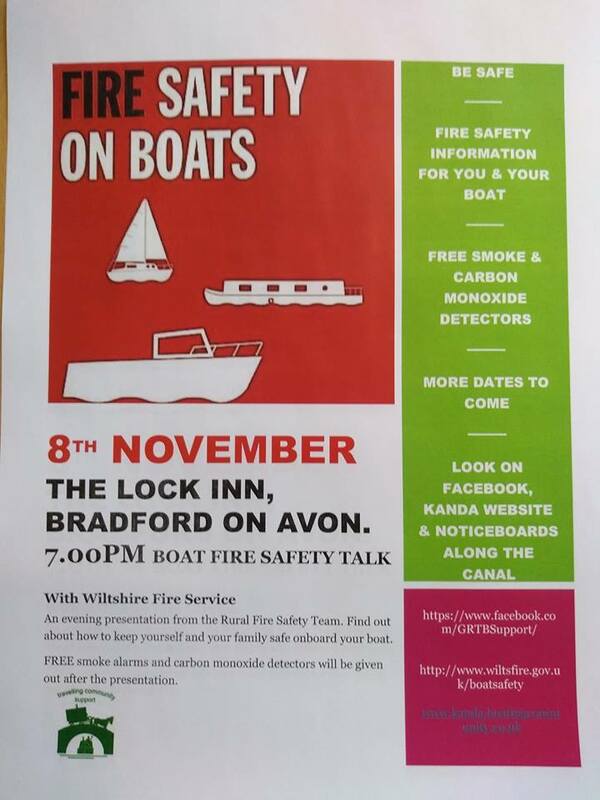 Avon Fire and Rescue Service will be giving comprehensive advice on how to make your boat as fire safe as possible and what to do in case of fire, including FREE smoke detectors and carbon monoxide alarms.